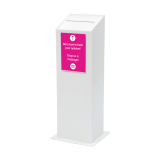 Encourage customers and visitors to take part in your ballot by placing a Free Standing Ballot Box near your entrance, waiting area, reception or till. 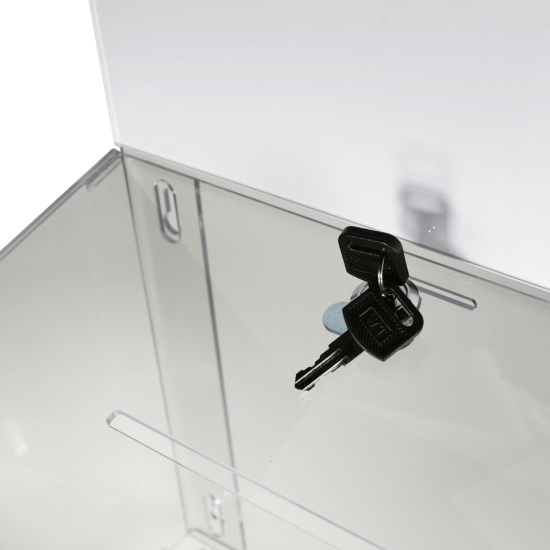 The built in lock adds extra security to your ballot, meaning this could also be used as a collection box. 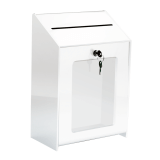 How do I empty the Ballot Box? The built in header simply lifts out of place, exposing the back of the box creating a large opening to take out all of your votes, tickets or collections. What is the material of the base and pole? 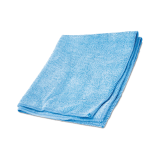 The base and pole are constructed from aluminium, and the base has a plastic cover. The header is designed for A4 posters - single or double sided - and measures 30cm W x 21cm H.
How do I update my header? 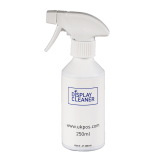 Updating your poster is simple, as the header is designed with an easy side opening to slide posters or graphics in and out in seconds. Is the lock secured with a key? Yes, the lock is placed on top of the box and is operated with the two keys provided. 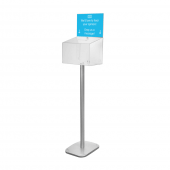 No, the stand is designed at a fixed height of 88cm including the base. What is the height of the ballot box? 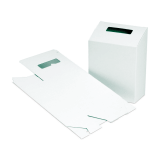 As the box has a slanted design, the height of the box itself is 24cm at the back and 19cm at the front.